Stitch-School embroidery experts Melanie Bowles and Aimee Betts are pleased to be hosting the A to Z Sampler Workshop at Peckham Craft Weekend. Working on the Stitch-School linen sampler to explore, learn and practice the A to Z of embroidery stitches. Each letter of the alphabet has its own individual embroidery technique ready to practice. The alphabet is printed onto a linen sampler and accompanied with an instruction book illustrating each stitch. 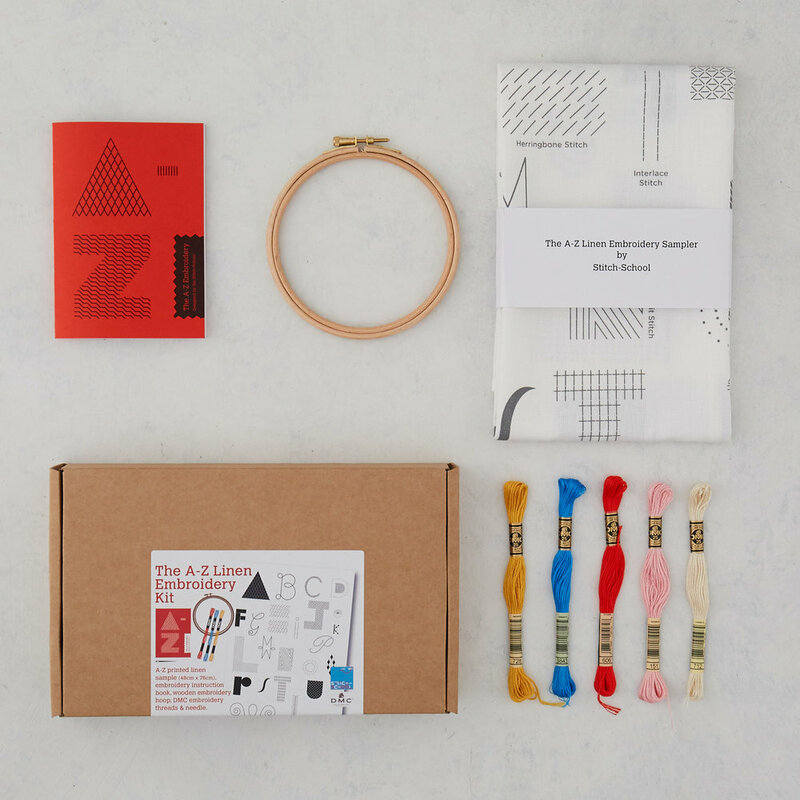 Participants will receive the A to Z Embroidery kit containing a 48cm x 76cm printed linen sampler, embroidery hoop, needle, threads and stitch instructions to take home. To book via Eventbrite, click the button below.